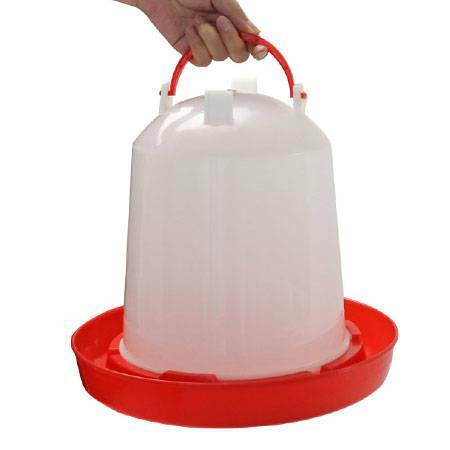 The kind of plastic chicken drinker with handle have different specifications: 6L, 8L, 10L, 750ml. 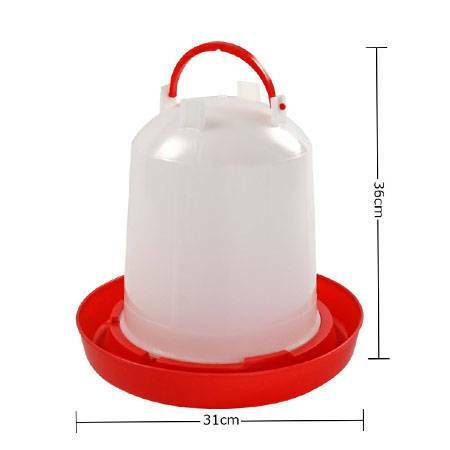 The plastic chicken drinker is made from heavy duty, high density, translucent plastic and includes an anti-perch dome, a removable locking base and carry handle. 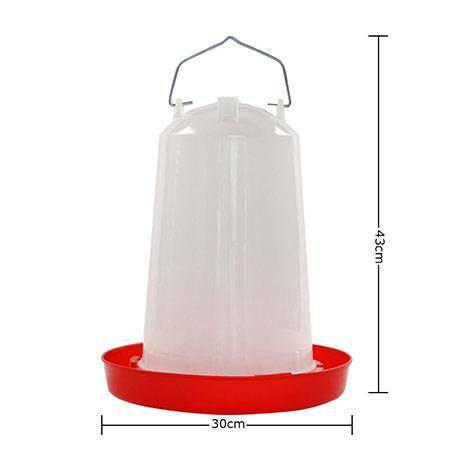 The drinker is suitable for chicks, pigeons, quail and aviary birds and can be either hung from it’s handle, simply stood on the ground or placed on a feeder/drinker stand. 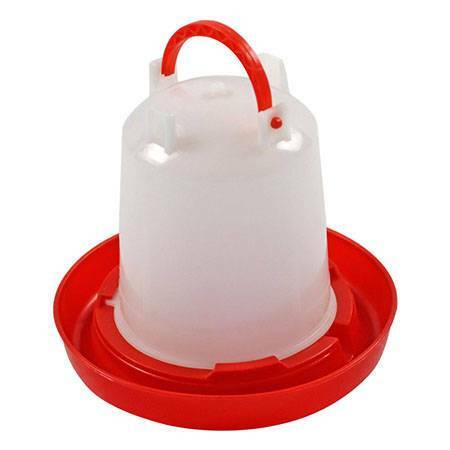 This drinker is simple to use, very reliable, easy to clean and great value for money. 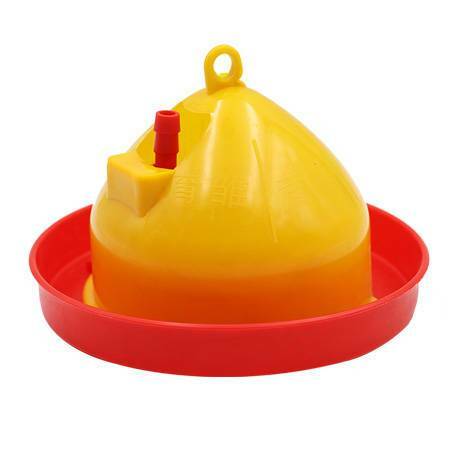 When chicken drinking water,the drinker is necessary. 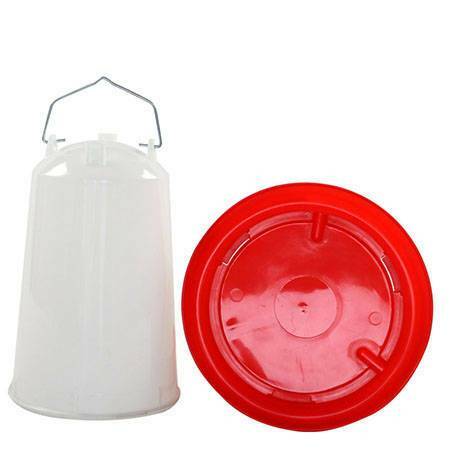 The drinker is made of plastic and has a light texture. 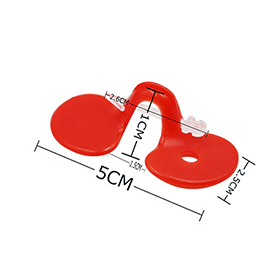 This plastic chicken drinker with handle has different specifications to meet the different needs of consumers. 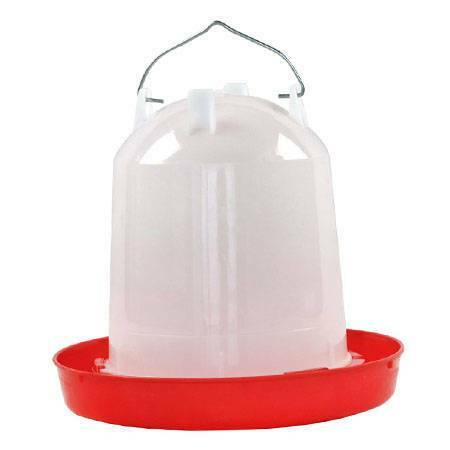 The poultry drinker includes an anti-perch dome, a removable locking base and carry handle. 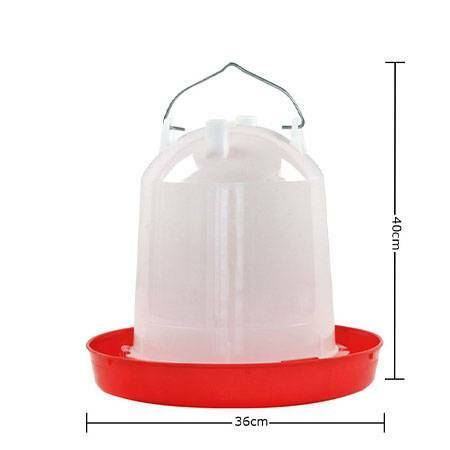 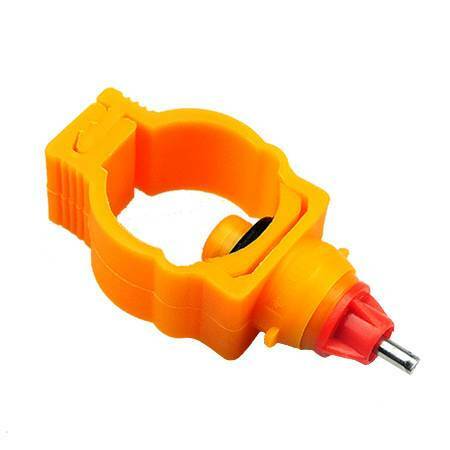 The drinking waterer is very convenient to use, and can make the chicken drink clean and hygienic water, reduce the probability of chicken sickness and increase the survival rate. 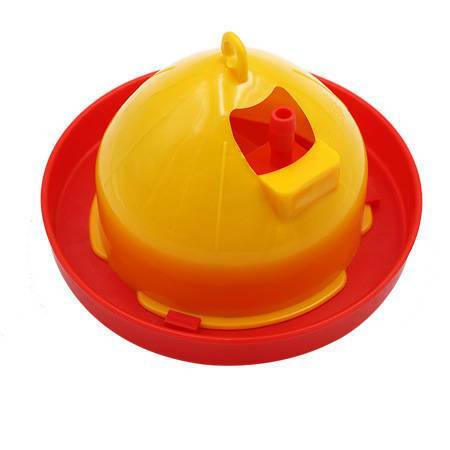 The design of the chicken drinker is scientific and reasonable. 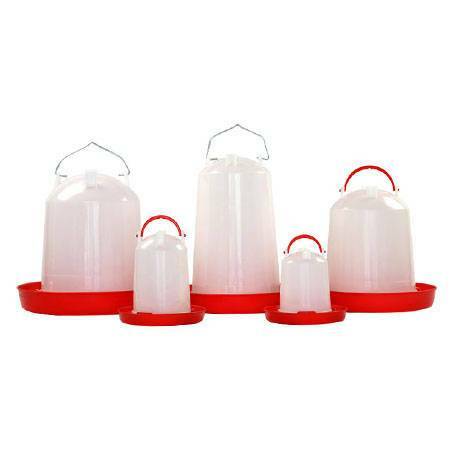 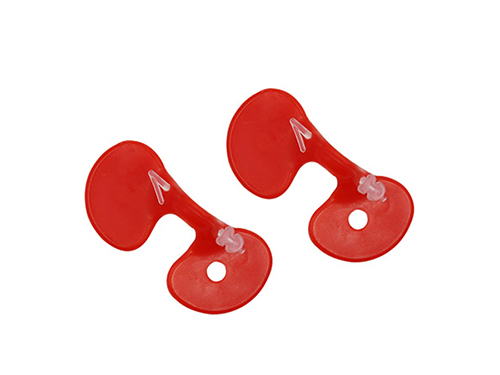 The company sells a variety of materials of various types of livestock drinkers, feeders. 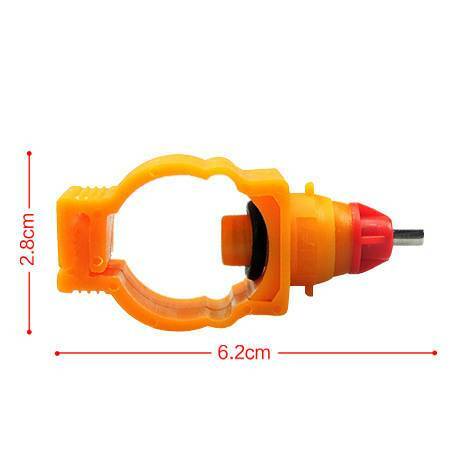 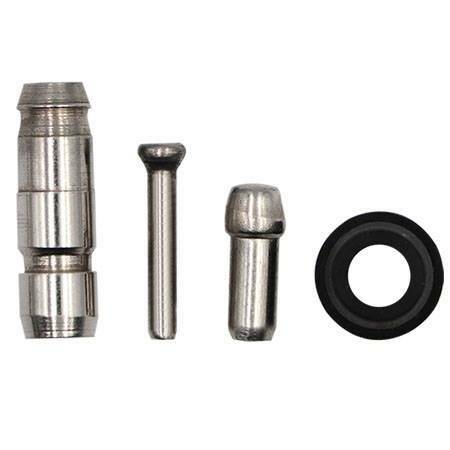 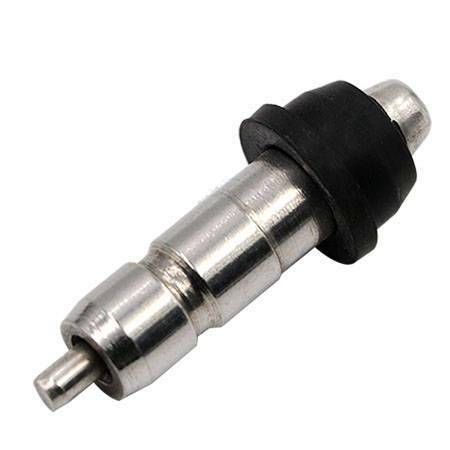 Quality assurance, reasonable price, perfect service, welcome to consult and buy.